Chester Bennington's Linkin Park bandmates have poured their hearts out in an emotional letter to the late singer, insisting his death "leaves a void that can never be filled". Group co-founder Mike Shinoda acknowledged Chester's suicide in a brief Twitter post on Thursday (July 20), revealing he was "shocked and heartbroken" shortly after the news first surfaced, and now the musicians have shared their first official comments about the huge loss in a touching letter to their tragic frontman. 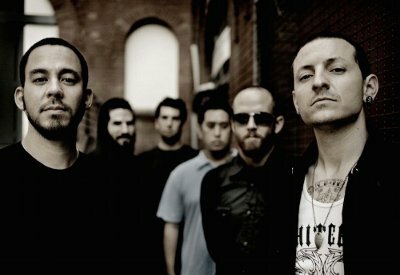 In the statement, Shinoda, Brad Delson, Dave Farrell, Joe Hahn, and Rob Bourdon admit they are still reeling from the vocalist's passing, but they and Chester's widow Talinda, the mother of three of his six children, have been comforted by the huge show of support they've received from friends and fans across the world. "Dear Chester," the letter begins. "Our hearts are broken. The shockwaves of grief and denial are still sweeping through our family as we come to grips with what has happened. "You touched so many lives, maybe even more than you realized. In the past few days, we've seen an outpouring of love and support, both public and private, from around the world. Talinda and the family appreciate it, and want the world to know that you were the best husband, son, and father; the family will never be whole without you." The stars claim Chester's "excitement" for the band's future was always "infectious", but no matter how good things were in his professional life, he was always dogged by his battle with depression, feelings he frequently channelled into Linkin Park's songs. They continue: "Your absence leaves a void that can never be filled - a boisterous, funny, ambitious, creative, kind, generous voice in the room is missing. We're trying to remind ourselves that the demons who took you away from us were always part of the deal. After all, it was the way you sang about those demons that made everyone fall in love with you in the first place. You fearlessly put them on display, and in doing so, brought us together and taught us to be more human. You had the biggest heart, and managed to wear it on your sleeve." The rockers have yet to decide how to move forward as a band, but they will forever be grateful to Chester for sharing his talents with the group. Wrapping up the note, they add, "Our love for making and performing music is inextinguishable. While we don't know what path our future may take, we know that each of our lives was made better by you. Thank you for that gift. We love you, and miss you so much. Until we see you again, LP". The statement was released on Monday (July 24), when representatives from the Los Angeles County coroner's office confirmed Bennington's cause of death was suicide by hanging and officially closed the case.